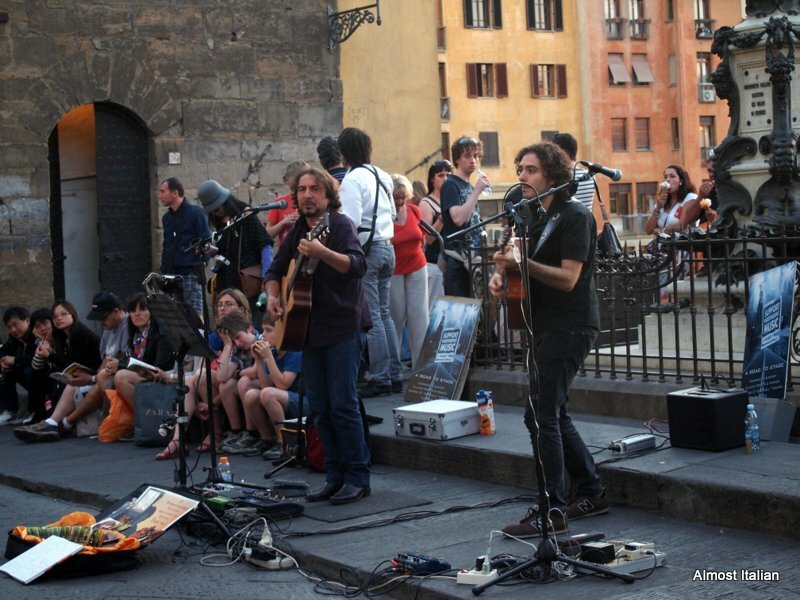 The band sets up on the Ponte Vecchio, Firenze, waiting for small rewards from the gathering evening crowd. We were rewarded with Dylanesque sounds gently amplified along the loggia. Dusk and dylanesque music sounds like heaven. I have seen a band play in the same spot when I was in Florence. Such a wonderful addition to the evening. Previous Previous post: Risotto all’Onda for Carla. Next Next post: 50 Shades of Bay. The Environment of Port Phillip Bay, Victoria.